A St. Helens man is in jail after allegedly killing his neighbor's pot belly pigs. 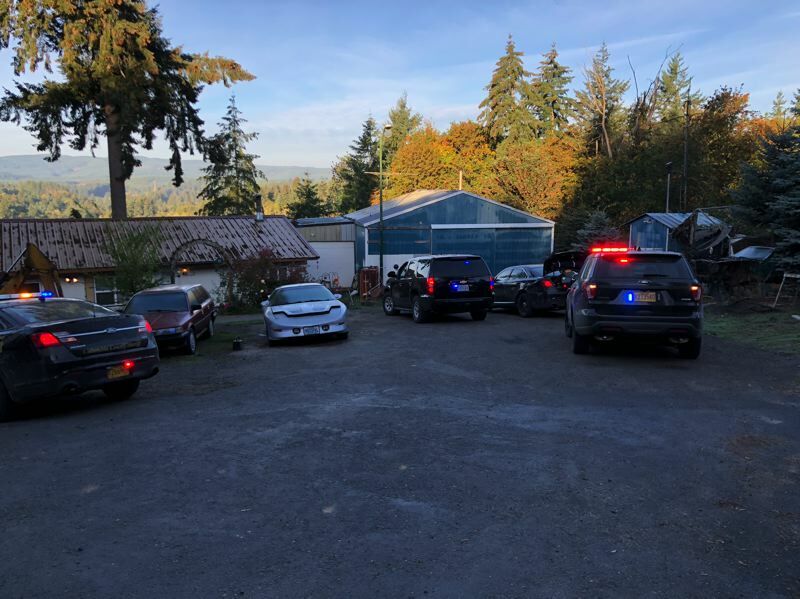 George E. Bainbridge, 56, was arrested by Columbia County Sheriff's deputies and St. Helens Police officers Wednesday, Oct. 3 on an outstanding warrant, after an investigation into the death of pet pigs owned by one of his neighbors. The investigation began in September, according to the Columbia County Sheriff's Office, after the reported killing of at least two pigs. Bainbridge was also accused of shooting a pig on the same property in 2017. Deputies served a search warrant on Bainbridge's home and seized evidence related to the crimes. A modified indictment against Bainbridge alleges he killed two animals- Henrietta and Gracie, and shot another one- Sophie, while also pointing a gun near Michelle Fudge, the owner of the pigs, who is the mother to one of Bainbridge's children and lives on an adjoining property, court records show. "The pigs that were harmed did not belong to Mr. Bainbridge," Columbia County Sheriff Chief Deputy Steve Sallee confirmed Wednesday. 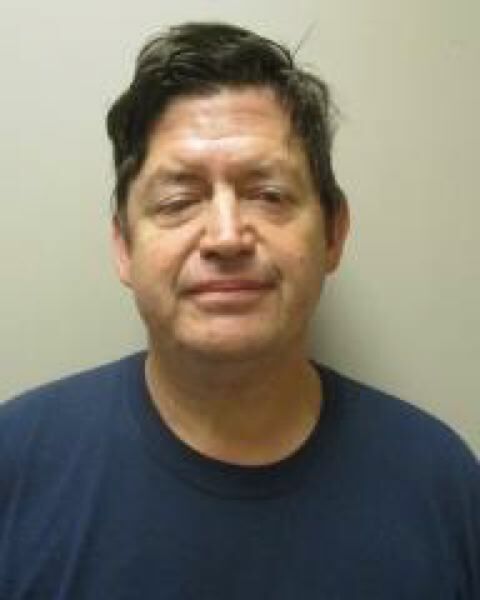 Bainbridge is being held in Columbia County Jail on $92,750 bail on charges of animal abuse, aggravated animal abuse, unlawful use of a weapon, felon in possession of a weapon and recklessly endangering another person. Since his arrest and release from jail, the weapons charge was dropped and the aggravated animal abuse charges were modified to misdemeanor charges of first-degree animal abuse. Bainbridge has a history of charges of animal abuse toward pigs on Fudge's neighboring property. In February 2017, he was arrested after authorities say he shot a pig named "DJ" with a bow and arrow within sight of a child, claiming it was self defense after the pig charged at him. Conflicting accounts say Bainbridge lured the pig away from its home on a pig sanctuary before maiming it. Bainbridge is still awaiting trial in that case. After the 2017 pig killing, an online petition was created, seeking justice for "DJ." The court received at least two letters urging the strongest punishment for Bainbridge. "The prosecution of both the 2017 incident and the latest charges is in the hands of the Oregon Department of Justice, who has prosecutors who specialize in the prosecution of crimes that target animals," Sallee stated in a news release. Bainbridge will face Jacob Kamins, a state prosecutor who handles cases of animal abuse, for both his pending court cases. Kamins is the same prosecutor who handled a 2014 case of animal abuse against Scappoose ranchers and cattle owners involving over 100 animals. Robert Bainbridge, a relative of George Bainbridge, says Fudge has routinely failed to properly contain her pigs and they enter the neighboring properties. "Ms. Fudge does not run a 'sanctuary'," Robert Bainbridge stated via email. "They are always leaving her property, because they are hungry and looking for food." Robert Bainbridge says George Bainbridge has repeatedly made calls to the county's animal control department regarding the large pigs. This story has been updated with new reporting and updates regarding the criminal charges filed.